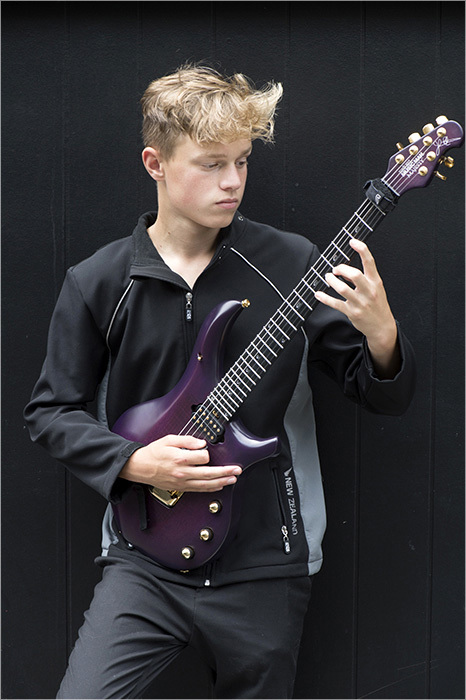 " a 15 year old guitarist originally from England and now lives in Rotorua New Zealand "
Leon Sharplin is a 15 year old guitarist originally from England and now lives in Rotorua New Zealand. Leon began playing guitar at the age of 10 and mostly plays progressive metal with a mixture of jazz and a few other genres. At the age of 12, Leon discovered Metallica and then began to take the guitar seriously. He later moved on to more technical and virtuoso style guitarists such as Joe Satriani, Steve Vai and Eric Johnson. 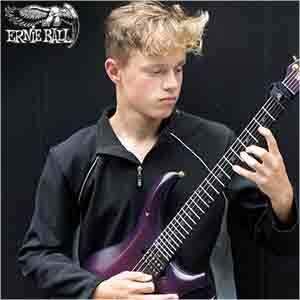 Currently his favourite guitarists include Tosin Abasi, Plini, Steve Vai, Mark Holcomb and John Petrucci. Leon’s goal is to be able to make a living playing guitar whether that be in a band or solo.